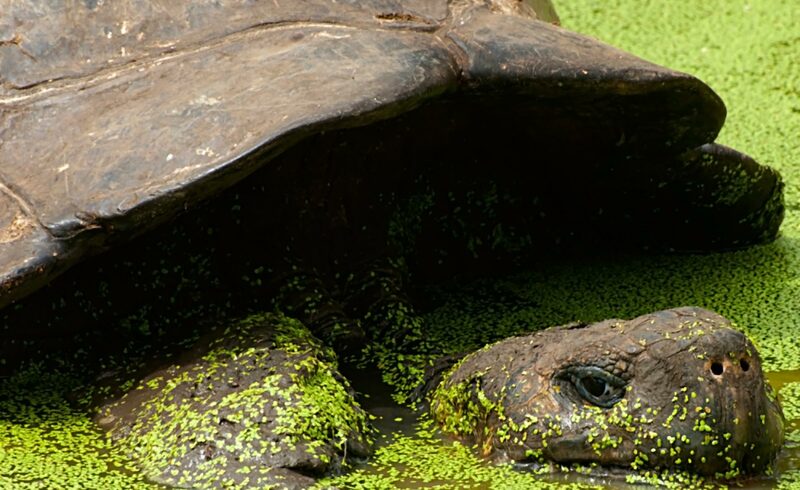 Now we have our key question for scientific investigation – How can we help conserve the population of Galapagos giant tortoises? How much space do tortoises need? 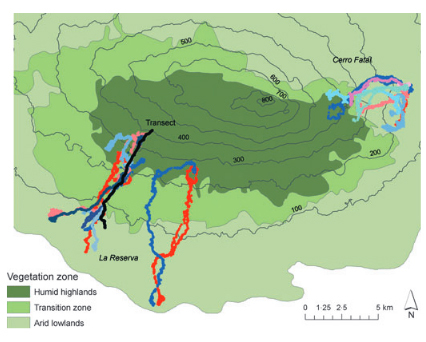 How, when, where and why do Galapagos tortoises migrate? What factors disrupt these movements? What habitat resources are critical for survival? What are the ecological roles of Galapagos tortoises i.e. why are they important for the environment? How are tortoise populations changing over time, particularly in response to threats and conservation management? In order to provide answers to these questions, the programme uses a variety of techniques to study the tortoises, including direct observation of tortoise behaviour and a more high-tech approach of tracking tortoise movements using Global Positioning System (GPS) tracking. 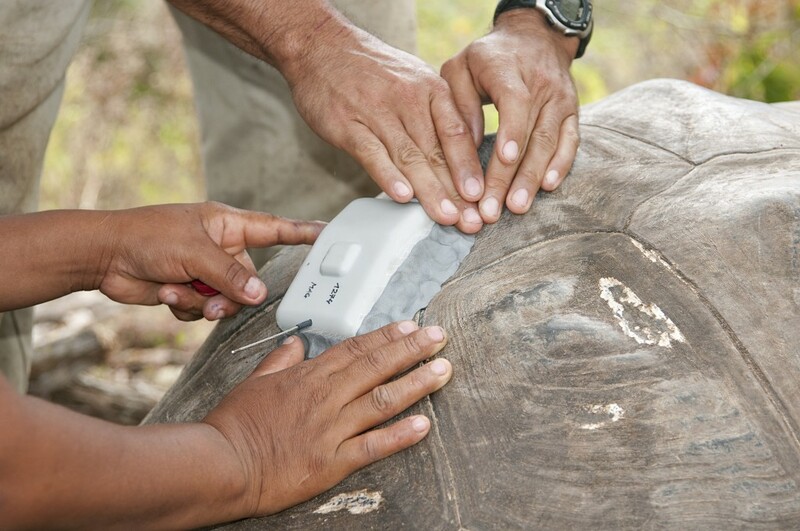 GPS tracking involves gluing a tag onto the tortoise shell (also known as a carapace). This GPS tag can tell us their location and their movements every hour, every day. It records the latitude, longitude, date and time, as well as other environmental aspects of the tortoise such as how active the tortoises are. From studying this data from the GPS tags, the researchers are able to track tortoise migrations and help conserve the tortoises by making sure that they are not disturbed from their natural paths. As of July 2014, 83 tortoises have been tagged on the islands of Santa Cruz, Isabela and Espanola. 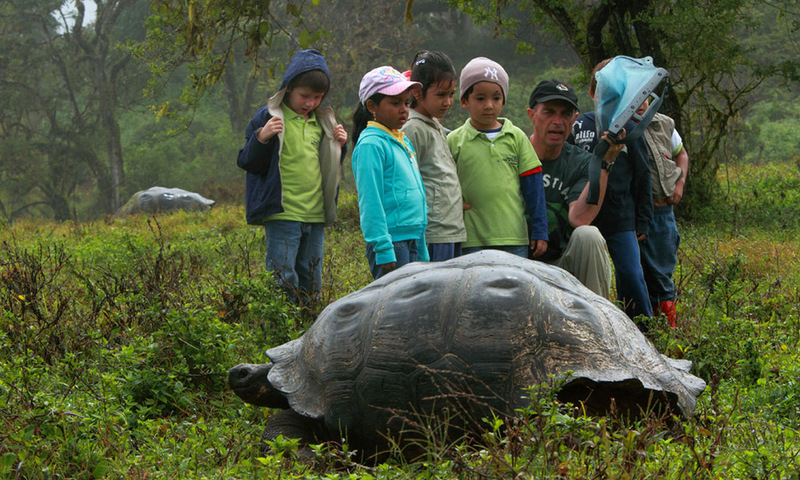 In addition to scientific research, the program is also working with schools and educators both in Galapagos and worldwide to educate and inspire the next generation of conservation scientists.